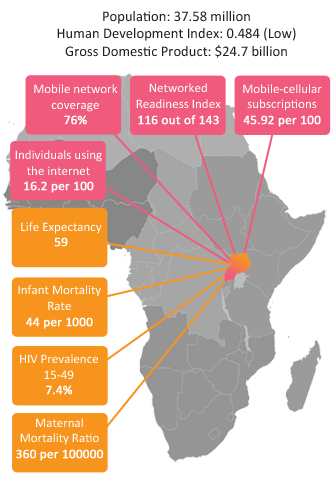 Ranking 121 out of 139 in 2016 on the global network readiness index, Uganda is an active digital health hub with the government playing a central role in co-ordinating digital health initiatives in the country. Funding for eHealth projects however, has traditionally been through fragmented donor funding which poses a challenge to sustainability. HRHIS3 is used for data collection, storage, analysis, reporting and dissemination of human resource information for evidence-based decision making. mTRAC is an mHealth solution for tracking essential medicines, and improving health service delivery launched in 2011. It was awarded an eHealth award by the African Development Bank in 2013. 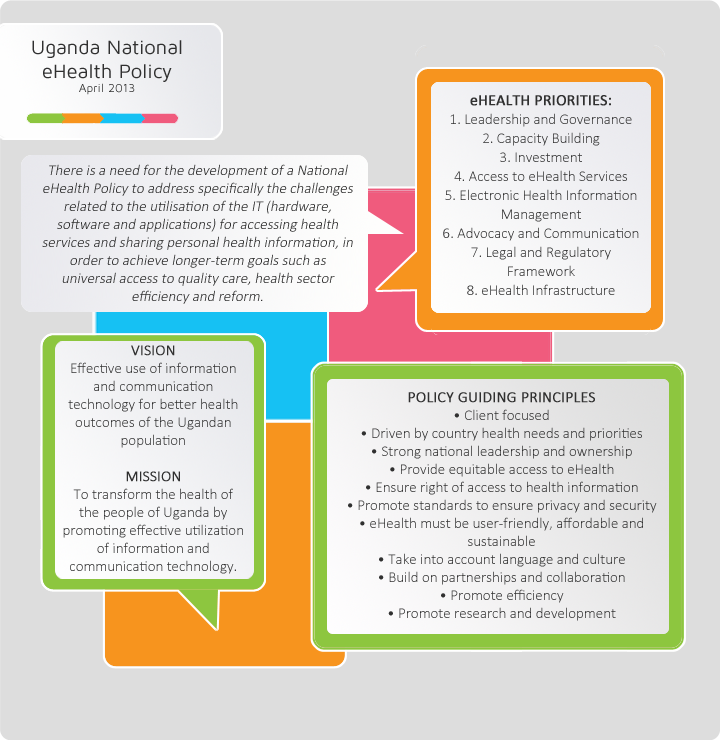 Health workers use the tool to submit their weekly reports via SMS codes. Health workers enter data about stock levels of essential malaria drugs into the mTRAC system. The Stop Malaria Program works with the districts to source supplies.